Jacinta Francisco, 40, is from Beira and has five children. We meet Jacinta and children at a temporary shelter set up in Muavi 1 Primary School. The school building was also damaged by cyclone Idai almost two weeks ago, but now it serves as a shelter for the most vulnerable families. Before the storm, 2500 pupils attended school here. Now, the school is closed because of the damages. 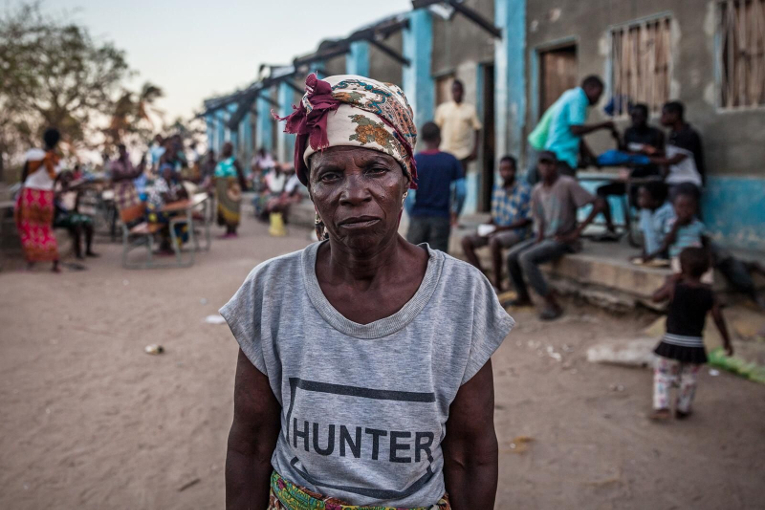 The day before the cyclone hit Beira, Jacinta was aware that a storm was coming. But she could not know how bad it would be. Jacinta just decided to prepare dinner earlier than usual, so the family would have eaten before the storm reached Beira. At night the winds blew so hard the coconut and mango trees were torn down by their roots. The roof of Jacinta’s house flew off and bricks were starting to fall. Fridge and television got broken. When Jacinta realised that they could die, she took her family and ran towards their mother’s house, only to find her in the same situation. They all huddled together in the room they considered safest and waited for the morning to come. When the day broke, they went to look for a shelter. Jacinta’s family has no house, no clothes, no means for supporting their kids with school. Only two of their textbooks were found among the ruins of the house. Jacinta’s husband used to work at a school, but now he stays by the ruins, hoping to be able to fix it. But he doesn’t have any money. Jacinta used to sell tomatoes and other vegetables, but her stall and supplies blew away along with everything else. Life at the temporary shelter is tough because the shelter is very crowded. Majority of the inhabitants are women and children. One classroom is allocated for men and older boys, and six for women and children. People sleep on the floor next to each other squashed in like sardines and without mattresses. Jacinta says its impossible to even turn around. Many decide to sleep outside to have their own space. Jacinta waits for the day when she could have a small, private space for her and her children, and a blanket to sleep on. Jacinta and her family have shelter, but they are not safe from other dangers. Cholera is now a big threat to all. The number of cholera cases is rising rapidly. On Monday, the UN declared the number of cholera cases only in Beira to be one thousand. One person has died of cholera in Beira. This frightens Jacinta. She feels uncomfortable living with so many people who have varying hygiene habits. According to her, not everyone even uses toilets for their needs. She also worries about the quality of water – there is no way she could make sure that it is clean. ACT Alliance members have joined local partners to fight cholera and other diseases in Mozambique. Partners are starting to hand out water cans and water purifying equipment in Beira area in the coming days. In the same shelter, we meet also Adelia Manhazo, who does not know her age, but guesses she must be around 60. She has four children, and no husband. 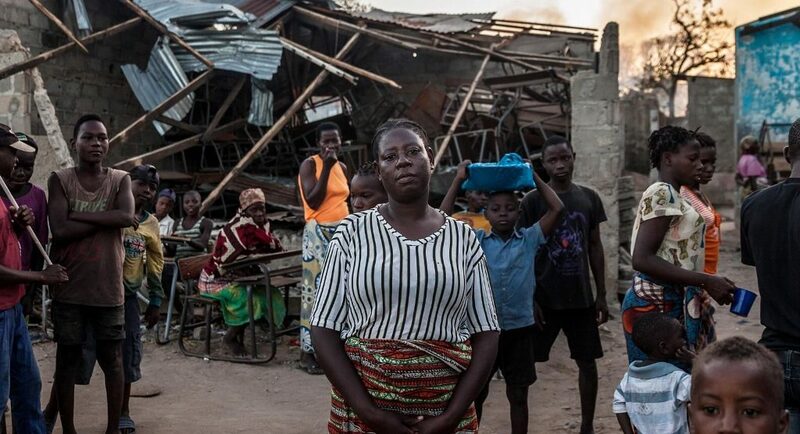 In Beira, people not only lost their home, but also their livelihoods. Most of the people at the shelter were street vendors selling bananas and tomatoes. Some used to cultivate their own plots of land. Adelia says she appreciates that she gets food at the shelter, but she is suffering a lot. Her house and her source of income were swept away in one single night. She used to farm on her own plot, and earned money by working on other people’s land as well. She has no idea what she will do the day she will be sent away from the shelter. This is the situation of most of the shelter’s inhabitants. Adelia was at home with four children and her cousin’s baby, when the storm hit her house. When the winds were on their worst, her neighbours came to rescue her and her children. She let them take the children, but refused to leave herself until they forced her to come. Just after they had escaped, she saw the house collapsing. They all sought refuge in this school. Adelia explains how almost every morning after breakfast, people from the shelter wander back to their former homes to see if there is anything they could do to restore their property. Two weeks after the storm it is still hard for them to accept that they have lost so much. Cholera is a water-borne disease that spreads through water, food and bad sanitation. The response from ACT includes water purification tablets, WASH and food, among other things.